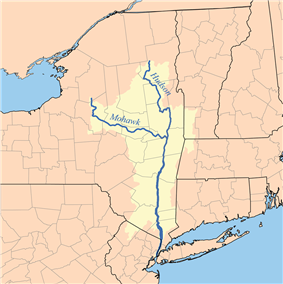 The Mohawk Valley region of the U.S. state of New York is the area surrounding the Mohawk River, sandwiched between the Adirondack Mountains and Catskill Mountains. 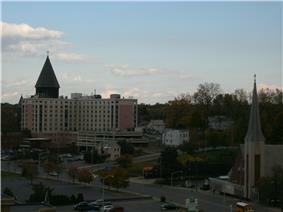 As of the 2010 United States Census, the region's counties have a combined population of 622,133 people. 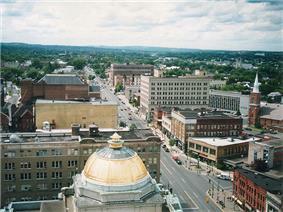 The region is a suburban and rural area surrounding the industrialized cities of Schenectady, Utica and Rome, along with other smaller commercial centers. 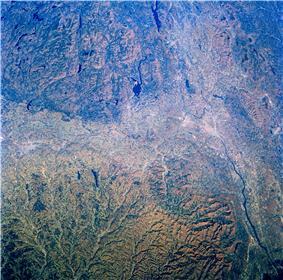 The area is an important agricultural center and encompasses the heavily forested wilderness areas just to the north that are part of New York's Adirondack Park.